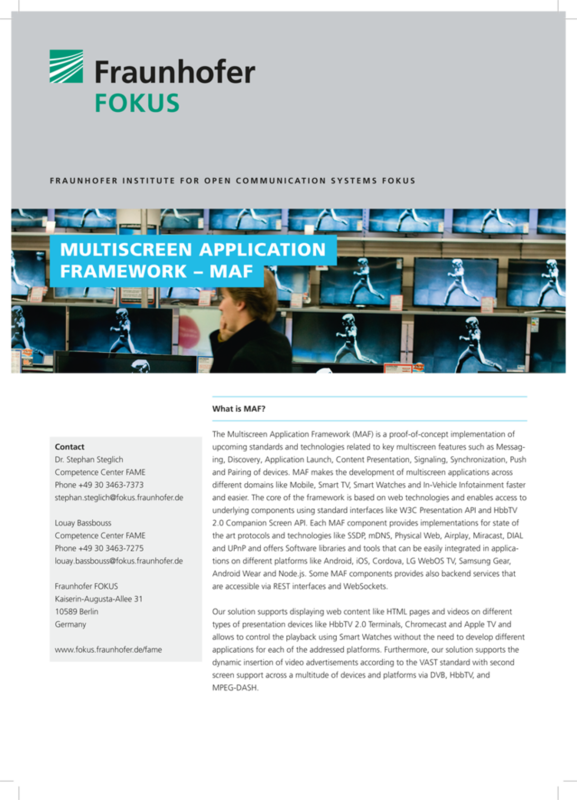 FAMIUM Multiscreen is a prototype implementation of upcoming web standards and technologies related to key multiscreen features such as discovery, pairing, launch, communication and synchronization of apps and media across multiple devices. To stay updated on the latest developments of FAMIUM Multiscreen and news of Fraunhofer FOKUS FAME, please subscribe to our newsletter. Present apps bigger and focused on secondary screens. Extend the reach of apps to show more content on different screens. Arrange and distribute apps with computational and visual parts presented on different screens as desired. FAMIUM offers implementations for the key multiscreen features listed above. A selection of the FAMIUM Multiscreen components is even published under a permissive open source license. DIAL: FAMIUM offers Sever and Client Implementations of the Discovery and Launch Protocol DIAL for Desktop Platforms as Node.js module as well as for Android and iOS. FAMIUM Backend Stack: Tool set of microservices for common multiscreen tasks enabling and supporting use cases across different platforms and networks. 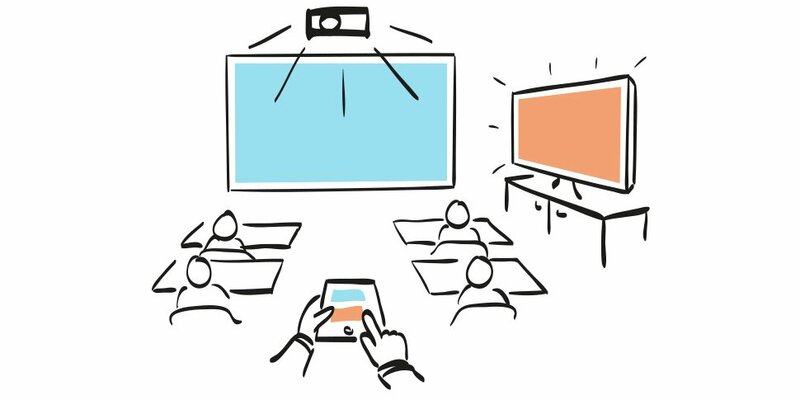 If you would like to get deeper insights into multiscreen technologies ask for our training and tutorial sessions regarding multiscreen app concepts, challenges and development. If you would like to make your hardware multiscreen compatible we can support you with integrating your devices. If you would like to see how your apps or ideas feel in a multiscreen world you may be interested in our multiscreen playground. If you have any questions about distributed apps or in particular about the multiscreen world - FAMIUM Multiscreen has the right answers.